Margaret Cruises is designed with the perfect balance of the classic and modern style. 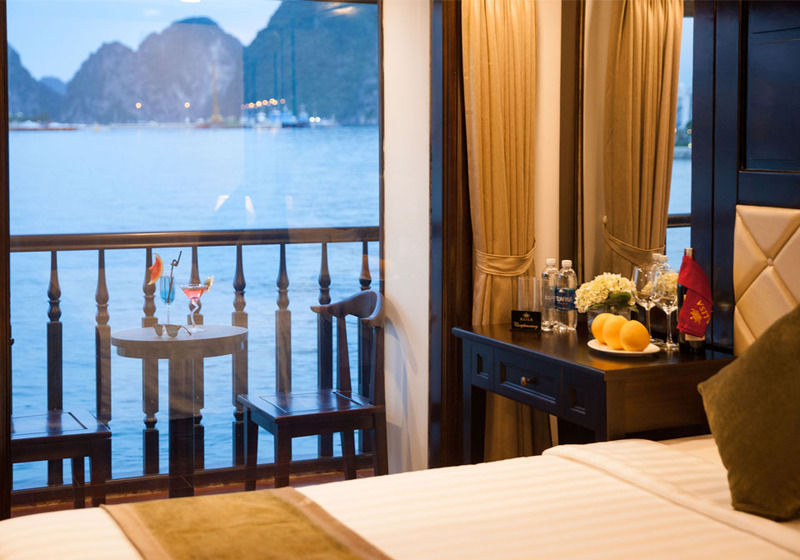 Spread over 4 decks with 25 spacious and beautiful cabins fully refurbished for a superlative onboard adventure, Margaret Cruises has never looked better, nor felt cozier. Expertly designed and exquisitely appointed with a large restaurant, a fantastic spa and an expansive sundeck, the ship is the perfect choice for everyone. Also, Margaret Cruises includes various itineraries designed to maximize the amount of time travelers spend here. There are numerous activities you can join during the trip, including kayaking, cave visiting, swimming, quid fishing, especially cooking class from which you will learn how to make Vietnamese traditional food. Margaret guests are absolutely surprised when breezing through embarkation and stepping into the warm welcome of our professional staff. It is the quality of our service that imparts such a wonderful sense of well-being as soon as you set sail on Margaret Cruise, the peace of mind that comes when you realize that all your needs are being taken care of for you – sometimes before you even ask. 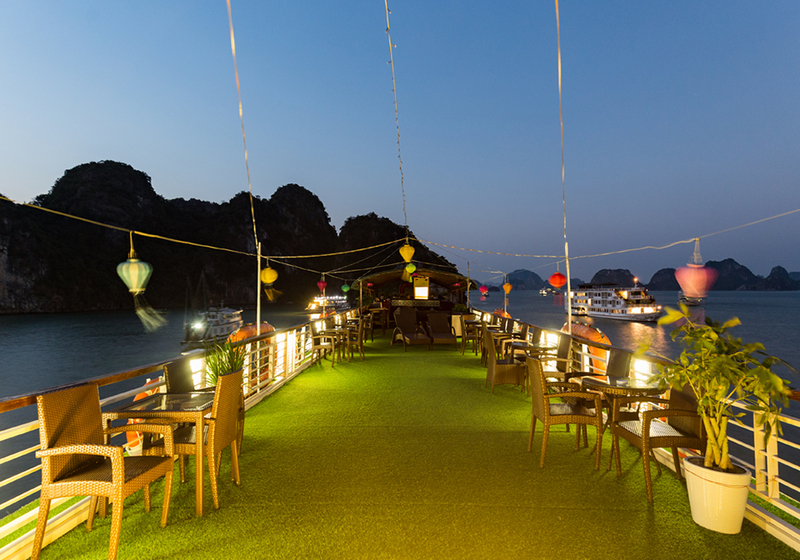 Last but not least you not only enjoy Halong Bay’s stunning landscapes but also the nuances of cuisine, and the characteristics of those who know it simply as “home”. 17:15: Enjoy Sun Set party with Juices, Tea, Coffee and fruits on Margaret Sky Bar. 17:45: Join cooking demonstration: How to make Vietnamese spring rolls – traditional Vietnamese food. 20:30: Join the Squid Fishing activity. Free time on the boat. 06:30: Practice Tai Chi class. Tea and coffee are served. 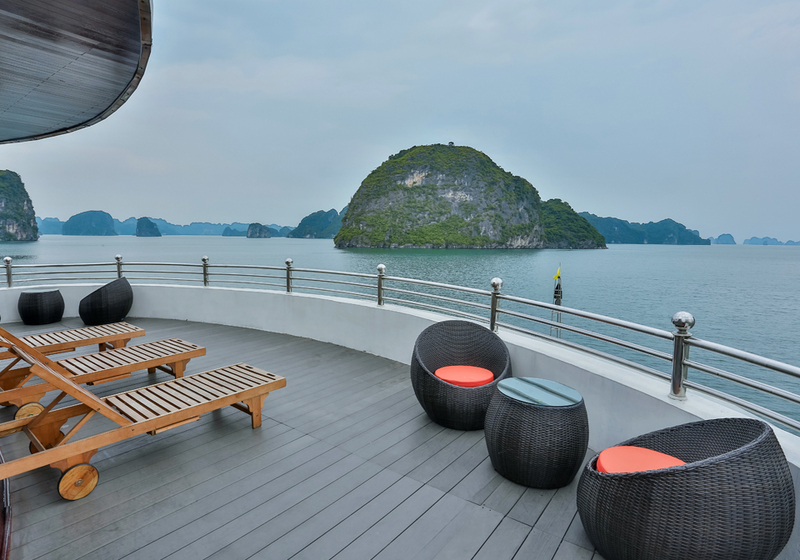 Change of the itineraries: The Margaret Cruises’ itinerary may change occasionally due to the weather conditions or the instructions given by the Halong Bay Management Authorities. Wifi onboard: Wi-Fi is available on board but is sometimes limited due to weak signal points across the mountainous bay. 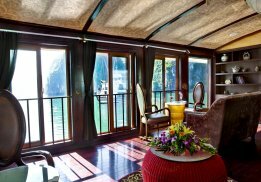 Halong Bay tour permit, entrance fees and sightseeing fees. 17:30: Enjoy Sun Set party with Juices, Tea, Coffee and fruits on Margaret Sky Bar. 18:30: Join cooking demonstration: How to make Vietnamese spring rolls -traditional Vietnamese food. 21:00: Join the Squid Fishing activity. Free time on the boat.